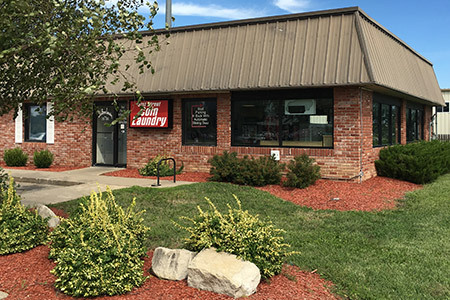 Washer prices $3.50 – $11.00 depending on washer size and washer temp selected. Now ALL Washer & Dryer are upgraded to accept Dollar Coins or Quarters. Be sure to use exact change because a Washer or Dryer will not make change like a Coke machine. The on site change machines will give combo payouts of $1 coins and quarters to make this easy. YES, the $1 coins are real money. I did not think going to tokens was fair to the customers. Please read our General Guidelines for using the laundromat.